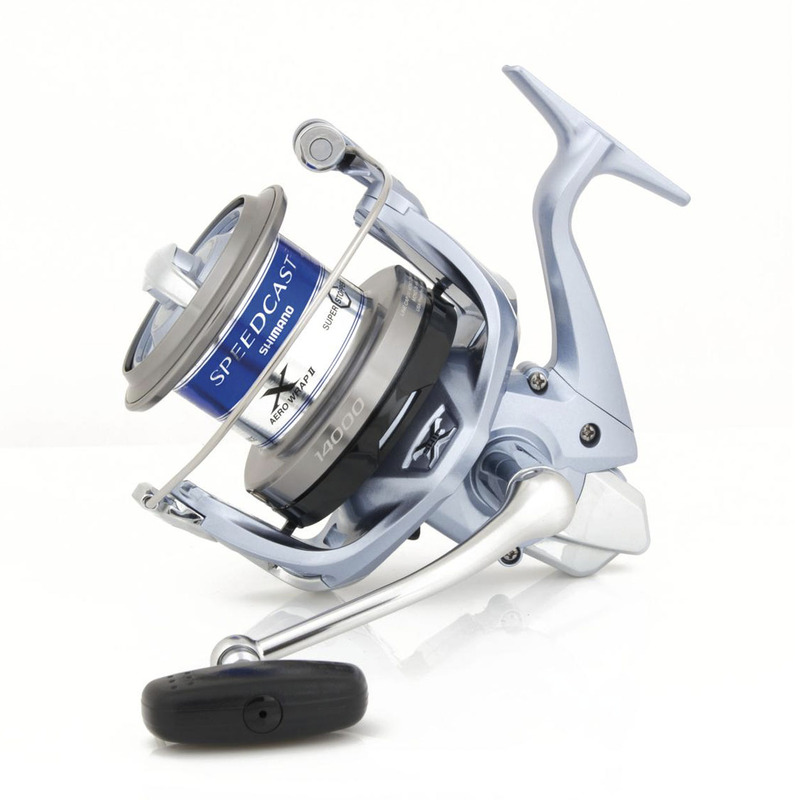 The Speedcast XS-B uses Shimano’s X-Ship gearing for maximum efficiency. With a powerful retrieve ratio of 4.3:1 for confident fish-playing the Speedcast XS-B also retrieves a remarkable 103cm of line per handle turn making it ideal for long distance fishing. The combination of slow oscillation, Aero Wrap II and a cold forged AR-C spool also make this model an excellent distance casting reel. Fitted with an Instant Drag spool, the Speedcast XS-B is perfect for long range surf fishing or for specimen anglers who prefer the Instant Drag facility. Instant Drag allows the drag setting to be switched from free spool to a ‘fight’ setting by tightening the Instant Drag lever on the front of the spool in only a few turns.